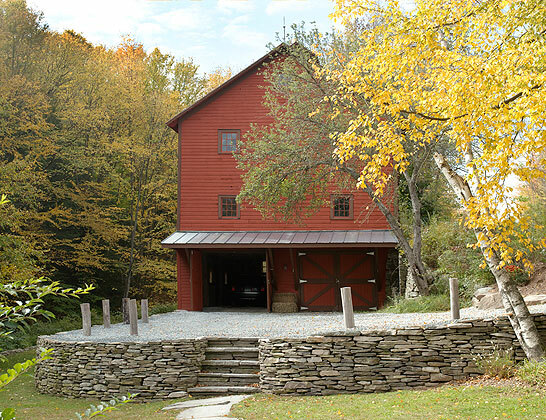 The original barn was also fully restored. Dilapidated milking stalls below became a protected parking area. A traditionally laid stonewall retains the driveway.